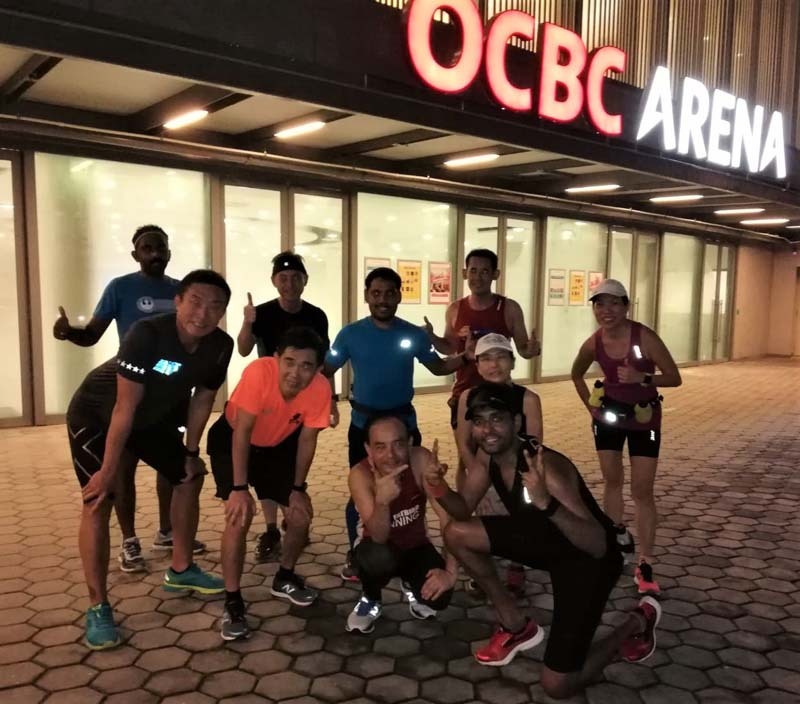 Ops Kookaburra 2019, Team FatBird’s 12-week proven marathon preparation program for Gold Coast Marathon (GCM19) kicked off at the OCBC ARENA on Saturday evening with a 2 hour Long Run Interval training for the highly enthusiastic GCM19 bound participants. 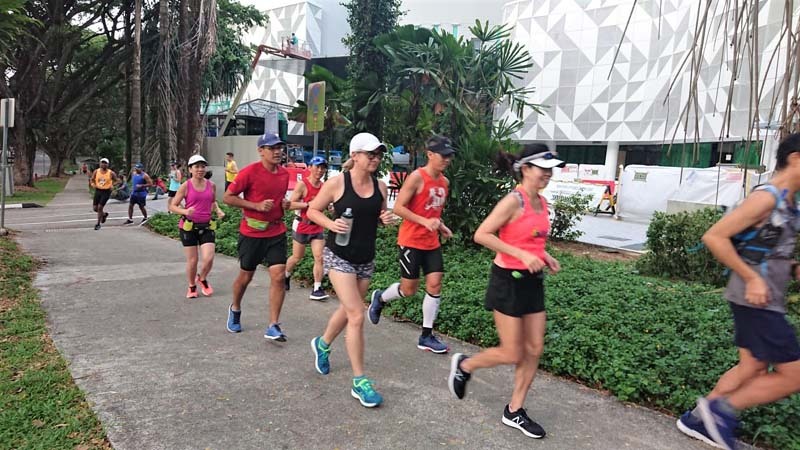 The growing popularity of the GCM has seen elevated registration numbers for this race which has seen its increasing share of PB and BQ from Singapore. 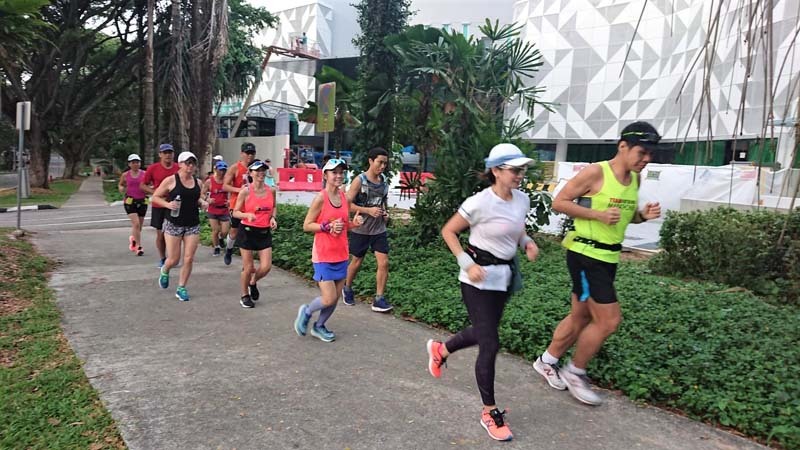 The number of runners from Singapore are already on its way to topping out 2018’s record attendance to date. 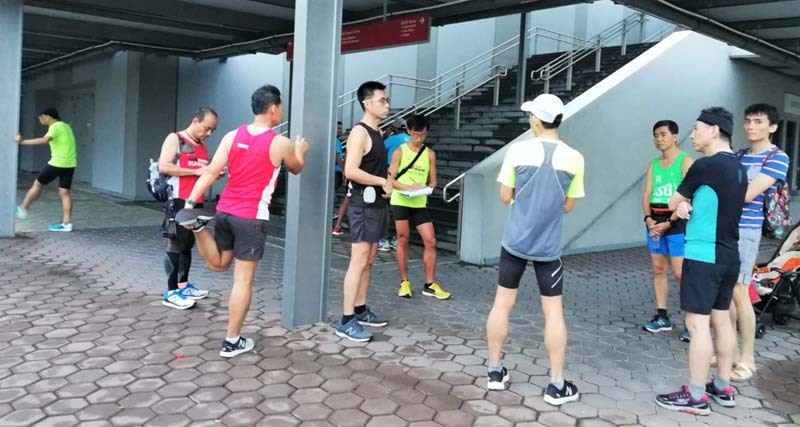 After a brief spate of thundery showers which cleared in time for cool weather conditions, the Kookaburras were welcomed with a briefing of the overall concept of their 12-week structured training plan – through the phases of Base Build through to Strength&Speed, Endurance, Sharpening and Taper for race day on 7 July 2019. 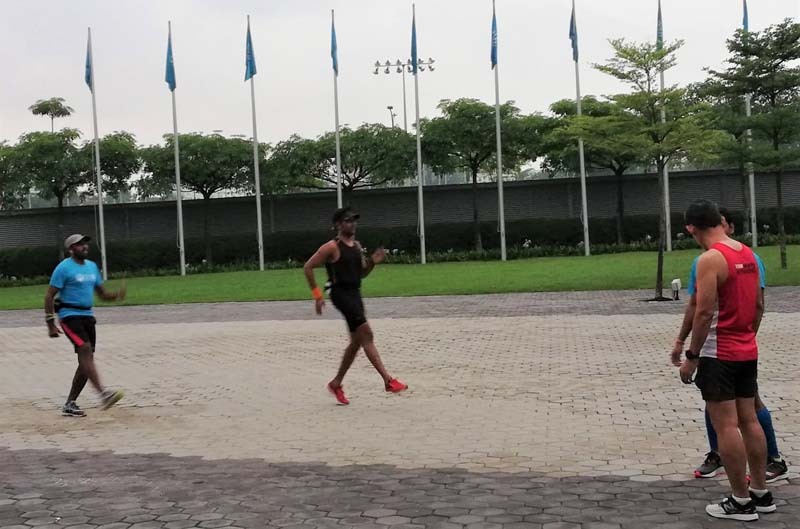 The Kookaburras were then placed into different training groups according to their current marathon fitness levels as well as target performances at their Goal Race. 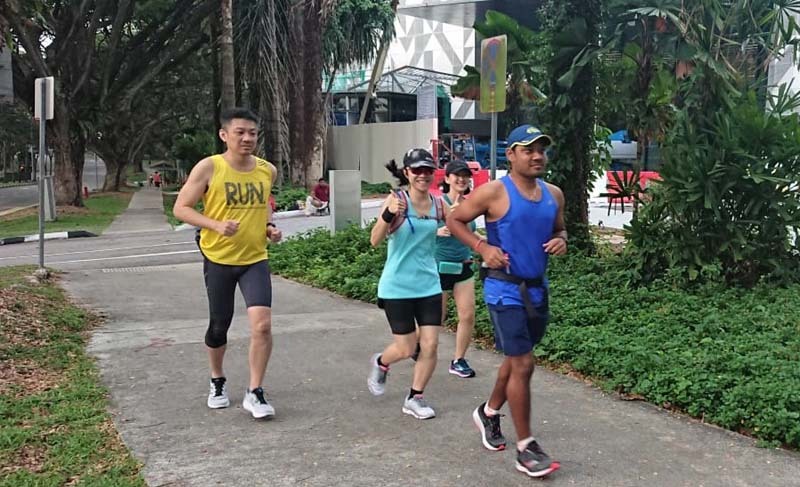 The experienced Kookaburra trainers, most who have ran the GCM in previous years with PBs and BQs, led the trainees through their 120min (15-21km) Long Tempo Interval workout session. The Kookaburras were assessed on their marathon foundation as well as running strength and form during the workout. 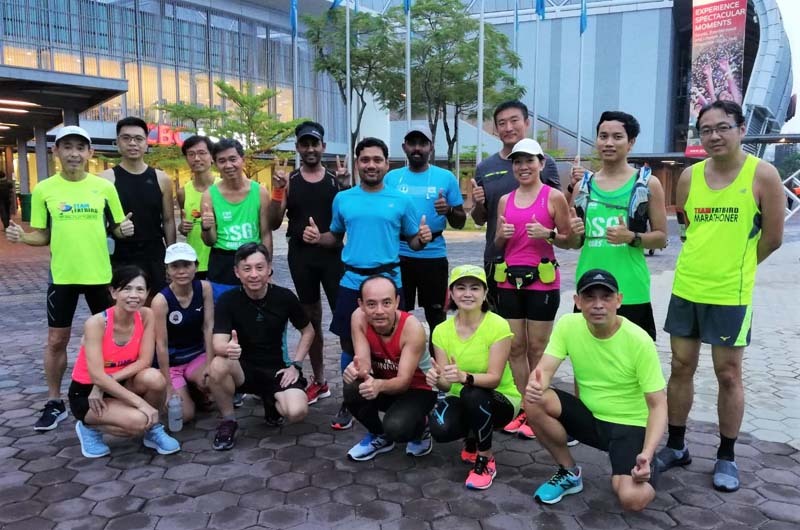 The trainers were pleased to note that the runners came prepared with realistic targets as well as reasonable running volume in their ‘mileage’ banks. 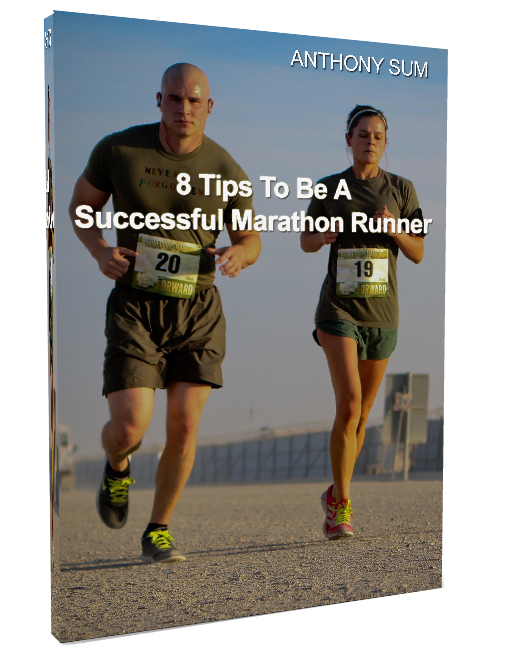 That would make it easier to hone in on their key marathon performance pillars – Running Economy, Lactate Threshold and VO2Max for Optimal Results. The 2 hour session flew by quickly with the Kookaburras completing their first long run strongly with Team FatBird. 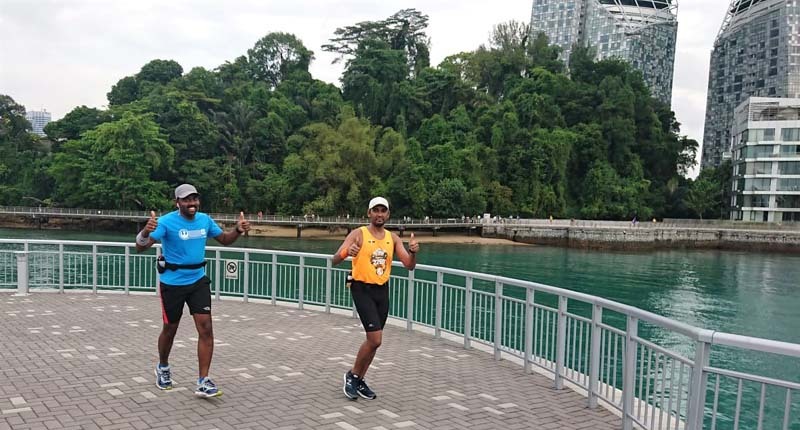 The trainers led the runners for some cool down static stretching before a debrief on learning lessons and upcoming training sessions focus. As the Kookaburras left the training area in high spirits, they were already thinking on how they would be executing their detailed training plan to optimize their training adaptations in their journey to GCM19. 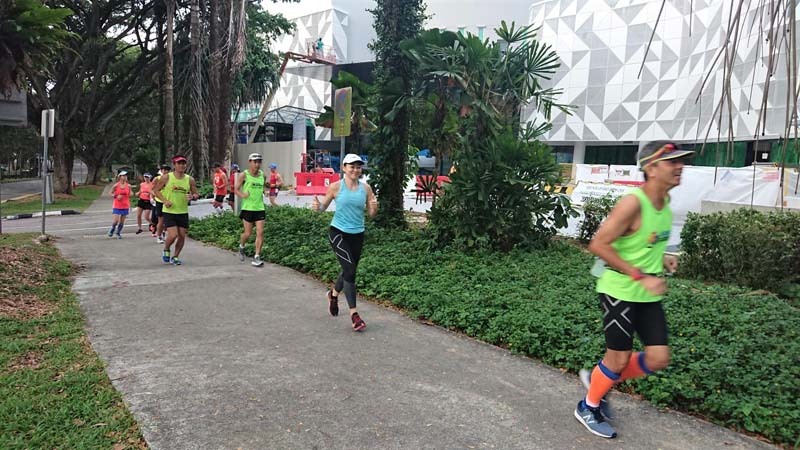 Runners preparing for the Gold Coast Marathon in 2019 are encouraged to sign up for Kookaburra Marathon Training to benefit from structured group training led by qualified and experienced Team FatBird marathon trainers.